I’ve been hugely fortunate in my life to have already done some incredible things, among them: living in a mud hut by myself in Kenya; spending a week on a desert island in Borneo; going on safari in the Ngorongoro Crater in Tanzania; taking in the wonder of Halong Bay in Vietnam by boat; diving with green turtles in Malaysia and watching the sun rise over the Taj Mahal. So when I decided to sit down today and write my bucket list, it’s fair to say the bar was already set extremely high. 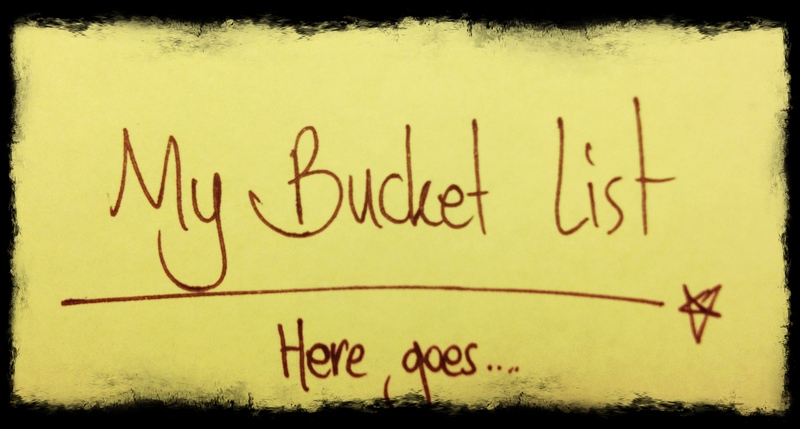 Why write a bucket list? Because in two and a half weeks’ time I will be turning thirty two – an age that two of my friends who tragically passed away this year will now never grow older than. It’s a desperately sad and sobering experience when people the same age as you die. It brings a lot of things into sharp focus and makes you realise what’s really important and what’s of little or no significance at all. It also makes you want to squeeze every last drop out of life that you can, because heaven only knows when your time will be up too.